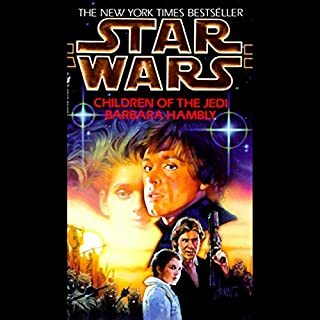 As the New Republic takes devastating losses in the ongoing war with the scattered remnants of the Empire, the galaxy's future depends on three small children, among them the Jedi twins, born to incredible powers and perils, as an extraordinary new saga unfolds. 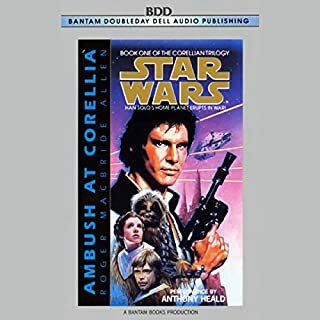 While the New Republic struggles to decide what to do with the deadly Sun Crusher, a new doomsday weapon stolen from the Empire by Han Solo, the renegade Imperial Admiral Daala uses her fleet of Star Destroyers to conduct guerrilla warfare on peaceful planets. And now she threatens the watery homeworld of Admiral Ackbar. 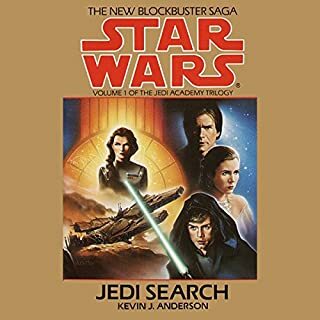 But as the battle for a planet rages, an even greater danger emerges at Luke Skywalker's Jedi academy. 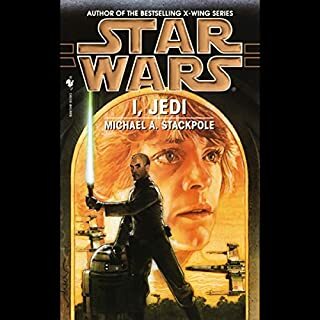 A brilliant student delves dangerously into the dark side of the Force and unleashes the spirit of an ancient master of the evil order that warped Darth Vader himself. Working together, they may become an enemy greater than the New Republic has ever fought...and more powerful than even a Jedi Master can face. 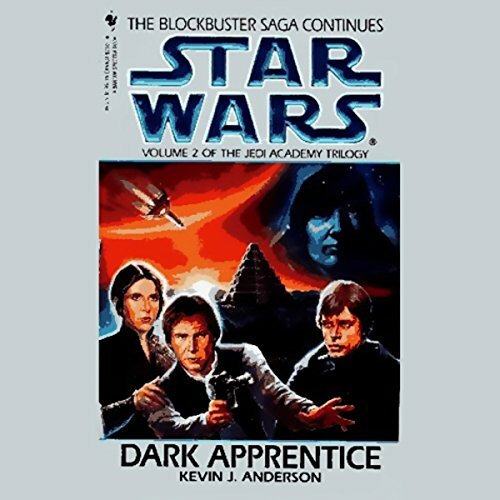 If you could sum up Star Wars: The Jedi Academy Trilogy, Volume 2: Dark Apprentice in three words, what would they be? Bad narration with multiple mispronunciations. Coruscant is pronounced "CorusKant", Han Solo sounds like a 1940's gangster, and Wedge Antilles sounds like Scotty from Star Trek. Very distracting after hearing the amazing Mark Thompson in so many great readings. Please have Mark Thompson narrate any book previously narrated by Anthony Heald! 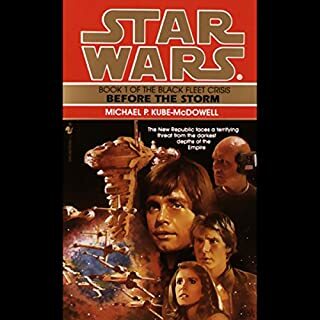 Stories good plays along with the previous in the trilogy but the pronunciations of this speaker appall me as a Star Wars fan. This guy reads like one big run-on sentence. So annoying ugh. I will never buy another book if I know he's narrating. Painfull. Not a great book but the narrator is horrid. 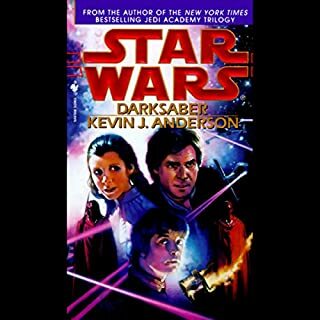 The narrator is not even a fan of Star Wars. He keeps calling it core-is-kont. Drives me crazy. Then i can't get past how oblivious Luke is. Just not a good listen. Ok story line but needs work narrator is horrible. It's a ok story line their a lot of parts of the story that just don't make sense. You have to really use your imagination and rewind but to understand some of the things the narrator is say. I think that story was not brought to life by this narrator he is lacking drive to explain it better. At least learn the pronunciation! The reader did terrible impersonations and couldn't pronounce places correctly, but the story was good. Shame on me for not reading the reviews upfront and discovering that this is an abridged version after the purchase. I made my note to never trust Audible with anything and never ever again purchase in bulk. The abridgment is of noticeably poor quality with significant gaps in the story. The narration is too fast for comfort. the narrator is terrible. he reads way to fast and it ruins the story. I would not recommend this one.